In what can only be described as competition at its best, the NASCAR races have for the last few days, been nothing short of eventful. With Grant Enfinger surviving a pit hole accident to win his sixth ARCA race of the season, to Brad Riethmeyer’s Great Lakes Helicopter Glass City 200 win at Toledo Speedway on Saturday and 18 year-old John Hunter Nemechek beating his much-experienced rivals to win Saturday’s NASCAR Camping World Truck Series American Ethanol E15 225 at the Chicagoland Speedway. 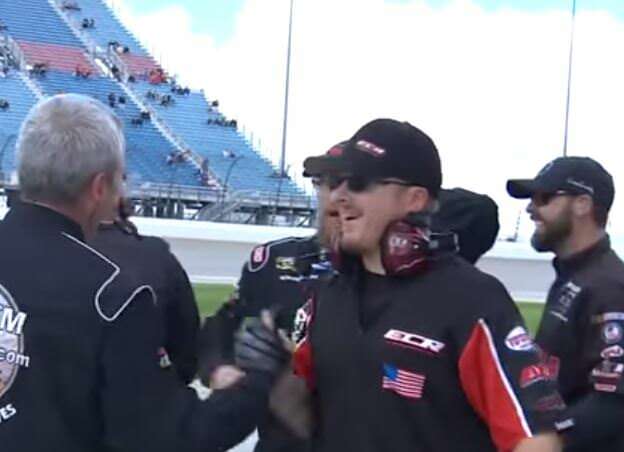 In a rare combination of luck and skill, teenage World Truck Series newbie, John Nemechek, emerged the winner in Saturday’s NASCAR American Ethanol e15 225 Truck Series race held at the Chicagoland Speedway. 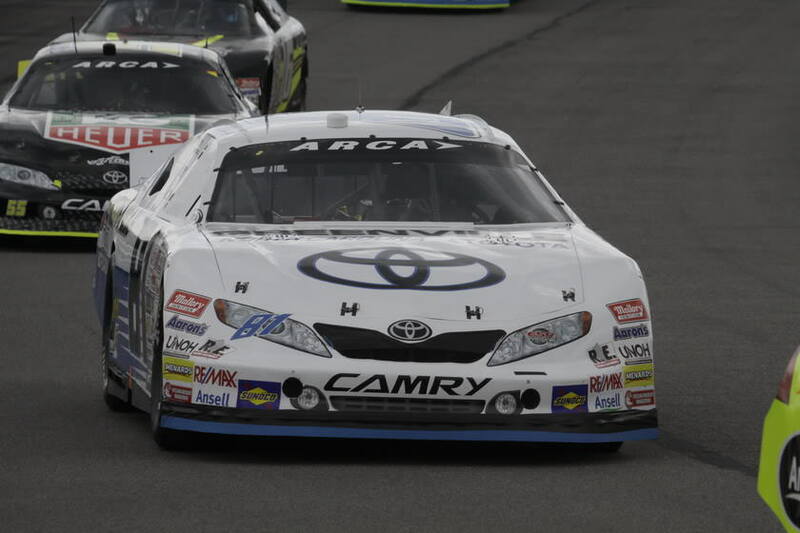 The fresh Davidson Day School graduate, who also happens to be the son of former NASCAR legend, Joe Nemechek, emerged victorious in the charged race that saw him beat race car heavyweights such as Tyler Reddick and Kyle Larson. Being the first race of his career, Hunter becomes the fourth youngest driver to win the coveted truck race, his predecessors being, Eric Jones, Cole Custer, and Chase Eliot. Young John’s fortunes radically changed when Kyle Larson, who had the lead until the last two laps, ran out of gas letting Nemechek, who had all along been easy on the gas pedal, zoom past him to clinch first place. Tyler Reddick came in second moving into second place in the points standings, a paltry ten behind leader Erik Jones, who was sixth on Saturday. Timothy Peters was third with Daniel Suarez emerging fourth. The race, however, had to be delayed until Saturday morning following Friday night’s heavy downpour. NASCAR News spheres have also been awash with the inspiring win of Grant Enfinger, who narrowly avoided going a lap down to record his sixth ARCA Racing Series victory of the year on Saturday night. The speedster from Fairhope, Alabama had an easy time holding off former NASCAR Driver Ken Schrader at the Salem Speedway. Enfinger, who enjoys a commanding series point lead, intimated that at one moment, he pitted too soon and had to go to the tail end of the lap. His win comes with just two races left in the 2015 series. 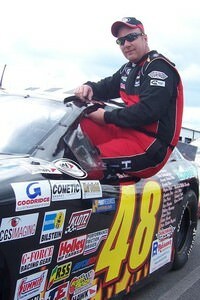 Grant finished 8.432 seconds ahead of Ken Schrader on the 0.555-mile oval. The much awaited Saturday night race also saw Will Kimmel emerge third, followed by Tyler Dippel and Chase Briscoe. Brian Keselowski, A.J. Fike, and Josh Williams came in fourth, fifth and sixth respectively with Bo LeMastus and Frankie Kimmel coming in last. Brad Riethmeyer was another Saturday night’s big winner as he clinched first place in the Great Lakes Helicopter Glass City 200, held at the Toledo Speedway. Riethmeyer, who was already one leg out in the race after blowing out his motor during Friday practice, exuded pride and excitement even remarking how good it felt to beat experienced drivers like Terry Seneker and Johnny Belott. 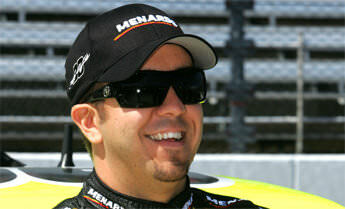 A veteran race car driver, Riethmeyer has made starts in the previous ARCA Racing Series presented by Menards and the NASCAR World Truck Series. Dakota Carlson emerged second with Johnny Belott III, Nick Bailey, and Billy Roberts coming in third fourth and fifth.